The bands 4th studio album from '96. 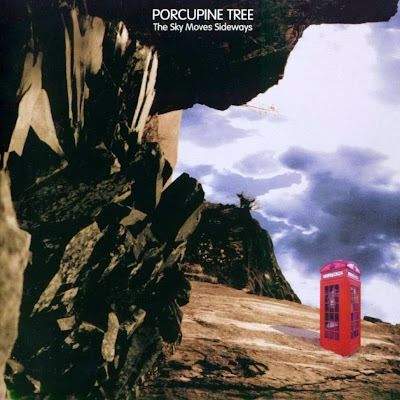 "Signify" saw Porcupine Tree truly gell as a studio band producing a blend of psychedelia, heavy rock, melancholic pop, kraut rock, and wild experimentation that brought the best out of each band member. Their latest two albums ("Stupid Dream" and "Lightbulb Sun") move the band further away from their influences and into their own catagory, by which other bands eventually will be compared. But if you are a fan of progressive, thoughtful, briliantly executed and flawlessly produced music, you will do no better than PT. PORCUPINE TREE's eighth studio album, "Deadwing", was released in March 2005 by Lava Records / Warner Music. Less rock-oriented than the previous album "In Absentia", "Deadwing" is partially based on a "surreal ghost story" screenplay written by Steven and sometime PORCUPINE TREE / NO-MAN art collaborator Mike Bennion. The 60-minute, nine-track album contains material varying from short airplay-friendly songs such as 'Shallow' to lengthier pieces like the 10-minute-plus 'Arriving Somewhere But Not Here'. Most of the music was written by Steven but the album features the largest amount of full-band compositions since "Signify" in 1997. The album also features guest appearances by Adrian Belew (KING CRIMSON) and Mikael Åkerfeldt (OPETH). In 2007 the band scored it's biggest chart success to date with "Fear Of A Blank Planet". Featuring contributions from Alex Lifeson and Robert Fripp it made the album charts in both the UK and USA and saw them play to larger and larger crowds on the subsequent world tour. This uplift in fortunes was due in part to the band signing to Roadrunner Records who really got behind the band. A new album is expected in 2009.